Few industries are as integral to well-being as health care—and by capitalizing on the globe’s exponential technological achievements, the medical field continues to advance telehealth. Much as the Internet changed how people communicate, telehealth is disrupting the status quo of health and wellness in order to improve how people live. Telehealth essentially leverages technology in order to distribute health-related services and critical health-related information. Even when a clinician is in another city, state, or even country, telehealth allows that clinician to provide advice, reminders, health monitoring services, and more to his or her patients. Through remote access, a surgeon can perform robotic surgery. A patient can complete a physical therapy regimen from home through live feeds and digital monitoring equipment. Transitioning health data management online can make the process more secure, accurate, up to date, and integrated with the health care system. Increased access to health care for those living in remote or rural areas. Increased access for those with limited or no means of transport to a medical facility. Increased access to care for historically vulnerable populations, including the elderly and disabled. Consolidation of a company or organization’s resources into a single platform (e.g., a mobile app). Access to live health ambassadors any time, day or night. A modernized health care system that prioritizes convenience, communication, and wellness. As people continue to live longer, demands on the health care system increase, but there’s often not a correlated increase in funds for those facilities. When critical resources—namely, money and staff members—are low, telehealth can fill in many of those gaps, ensuring more people get easy, affordable access to the care they need. Every year, telehealth becomes an increasingly integrated part of the medical landscape. Companies at the forefront of that innovation are receiving both recognition and support for their important work. Continuwell, a company based in Jacksonville, Florida, United States and part of the TriageLogic Group, provides telehealth software and mobile communication solutions to U.S.-based medical centers and businesses. 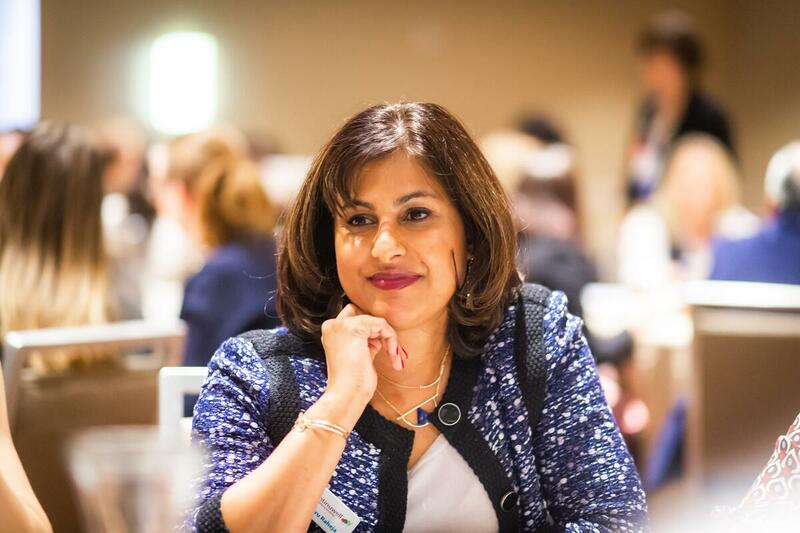 For her efforts, Dr. Raheja won the 2018 Gold Stevie® Award for Female Entrepreneur of the Year in the Business Services category of the Stevie Awards for Women in Business, and the TriageLogic Group and Continuwell took the 2018 Silver Stevie Award for the Most Innovative Company of the Year in the same category. Much has been written about the rise of the gig economy, i.e., the hiring of workers on short-notice, short-duration contracts or freelance jobs. Part of this narrative is how noticeably different it is from the labor market models of old. In the past, people either focused on: a) the miraculous rise of start-ups based entirely on gig economy business models, such as Uber, or b) how the gig economy is, for workers, often characterized by a lack of job security, pension, health care contributions, and other employment benefits once considered standard. Either view misses the wider picture, though. To start, job security and benefits were never as widespread or culturally ingrained in the United States as they were in Europe. And even there, they applied only to the working population, which in the most unionized industries was predominantly, if not exclusively, male. Not only have workforce demographics since changed, but many of the industries in question began to decline or even to die out long before the rise of the gig economy. The perks afforded to the workers declined along with them. In the United States, a blue-collar job that included both health care and pension benefits was a rare thing, even in the last few years leading up to the financial crisis. Furthermore, the gig economy, particularly when it involves jobs conducted entirely online, has enabled competition among a wider variety of qualified service providers in a huge range of sectors. Increased competition holds especially true for international organizations, who can now easily hire, for example, translators or legal experts to process documents. These workers can be local to the company, or they can be specialized experts halfway across the world. It simply depends on the priorities and needs of the business – but an over-looked benefit of the gig economy is its lack of dependence on a shared geography. It might surprise you then that the gig economy also benefits domestic labor market access – particularly professional women. Online-only work relationships inherently favor white-collar work. That’s because in the gig economy, work that involves the processing and editing of data or documents is easier. These projects can be worked on and transferred between people, even those who have never met face to face. As a result, gig economy work favors workers with at least secondary, preferably tertiary, levels of education who can self-organize, hold themselves accountable, and who are dedicated to advancing their skills. Women also account for the majority of college-level qualifications achieved in developed countries and in developing countries with reputable education systems. This trend is seen even in countries where there is no expectation of women becoming a significant part of the workforce, such as Iran or Saudi Arabia. By working online, women who have desirable qualifications but are constrained by social or family circumstances can find gainful employment with clients who require their expertise. Their clients might not be looking for full-time employees who receive full benefits, but neither are these workers looking for the additional constraints of regular hours and physical attendance. Instead, a working relationship can be formed around necessities and priorities, with both parties still inherently interested in a long-term working relationship on a good-pay-for-good-work basis. Alysha Dominico and Vicky Marrack, co-founders of the inbound marketing agency Tangible Words, explain that they discovered the virtues of a long-term but flexible working relationship thanks to their first external copywriter. Her family responsibilities necessitated she stay at home, but allowed for remote work, and this win-win relationship became the blueprint for nine more subcontractors, most of them women. This model has even gained the company independent acclaim. Tangible Words was awarded a 2018 Gold Stevie® Award in the category of Achievement in Promoting Work-Life Balance for Women in Business. “We feel good about being an office that offers flexibility and skills development to keep parents sharp for whatever kind of lives they want to lead—now or later,” said Marrack. “The people we employ might not otherwise have access to the labor market. Our distributed office model, virtual work, and flexible work schedules are great for them and us. Creating a positive work culture focused on our staff leading healthy lives that balanced work and life priorities equally was always mission-critical to the success of Tangible Words,” said Dominico. Who's Coming to the Stevie Awards for Women in Business This Friday? The 2017 (14th annual) Stevie® Awards for Women in Business - the world's top honors for female entrepreneurs, executives, employees and the organizations they run - will be presented this Friday, November 17 at the Marriott Marquis Hotel in New York City. More than 525 nominees and their guests from more than 20 nations will attend for the announcement of the Grand, Gold, Silver and Bronze Stevie Award winners. The presentations will be broadcast live, beginning at 7:30 pm ET. Here are the organizations that as of this writing will be represented at the event on Friday. Full Sun International Co. LTD.
Impact PR & Communications Ltd. The 2018 edition of the Stevie Awards for Women in Business will open for entries in May. Join the mailing list and the 2018 entry kit will be emailed to you as soon as it is available. The 13th annual Stevie® Awards for Women in Business, the world's top honors for women entrepreneurs, executives, employees, and the organizations they run, will be presented this Friday, November 18 at the Marriott Marquis Hotel in New York. More than 400 women and their guests from around the world will attend. The presentations will be broadcast via LiveStream at 7:30 pm eastern time on Friday. Watch it live or later on, here. Follow along with a copy of the awards dinner's official program book. The red caprt pre-show will air on the Stevie Awards Facebook page at 6:00 pm ET. Finalists in the 2016 awards were announced last month. This Friday the Finalists will find out whether they've won Grand, Gold, Silver or Bronze Stevie Award status. So who's coming to New York City for Friday's gala event? Here are the organizations who have already booked their place for the awards dinner. Tickets are still available. Finalists were announced today in the 13th annual Stevie® Awards for Women in Business, the world’s top honors for women entrepreneurs, executives, employees, and the organizations they run. The Stevie Awards for Women in Business are produced by the creators of the prestigious American Business Awards and International Business Awards. The Stevies are widely considered to be the world’s premier business awards. This year’s Gold, Silver and Bronze Stevie Award winners will be announced at an awards dinner at the Marriott Marquis Hotel in New York City on Friday, November 18. More than 400 women and their guests from around the world are expected to attend the presentations, which will be broadcast live on LiveStream. The red carpet pre-show will air on the Stevie Awards’ Facebook Live. More than 1,400 entries were submitted this year by organizations and individuals around the world for consideration in more than 90 categories including Executive of the Year, Entrepreneur of the Year, Startup of the Year, Women Helping Women, and Women-Run Workplace of the Year. Organizations with multiple Finalists in a variety of categories include Accenture (Chicago, IL), Aflac (Columbus, GA), Cirkled in (Redmond, WA), Creative Lodging Solutions (Lexington, KY), DCR Workforce (Boca Raton, FL), EvolveMKD (New York, NY), Jeunesse Global (Lake Mary, FL), Linqia (San Francisco, CA), Stratus Interactive (West Chester,PA), TAPfit (Queensland, Australia) and World Financial Group (San Jose, CA), among others. Nominations were submitted by organizations in 22 nations including Argentina, Australia, Canada, China, Croatia, Germany, India, Ireland, Italy, Japan, Jordan, Kenya, Lebanon, Saudi Arabia, South Africa, Spain, Sweden, Switzerland, Turkey, the United Kingdom, the United Arab Emirates, and the USA. Visit http://www.StevieAwards.com/Women for a complete list of Finalists by category. Finalists were chosen by more than 110 business professionals worldwide during preliminary judging. Members of five specialized judging committees will determine the Gold, Silver and Bronze Stevie Award placements from among the Finalists during final judging that begins on October 17. The Stevie Awards are delighted to announce the five distinguished women who will chair the final judging committees of the 2015 (12th annual) Stevie Awards for Women in Business competition. The Stevie Awards for Women in Business are the world's top honors for female entrepreneurs, executives, employees, and the organizations they run. October 7. Gold, Silver and Bronze Stevie placements from among the Finalists will be determined in final judging, to begin in late October. Results will be announced at the 12th annual awards dinner in New York on November 13. Tickets will go on sale October 7. The five committee chair selections are based on the categories that will be judged. Final judging chairs helped to form their committees, each of which will be comprised of 10-20 other executives. Here are this year's final judging committee chairs. Elizabeth Schillo serves as Senior Vice President for Dice and Clearance Jobs, leading all North American sales channels. She oversees account management, new business sales, customer-centric sales communication, sales training, new product sales, and strategic partnerships for business development to generate annual results of over $130M. 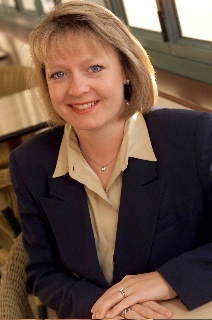 Prior to Dice, she held sales leadership roles with CareerBuilder, Ann Taylor, and McKesson Information Systems. Over the past thirteen years, Elizabeth has demonstrated her ability to lead multi-channel sales teams and to drive results. Her passion for training, leadership, and serving customers has enabled her teams to develop strong customer relationships. 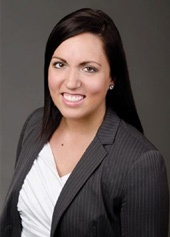 Elizabeth holds an MA from Wheaton College and a BA in Communication and Psychology from Lee University. Amber Olson Rourke leads a team that is responsible for all of Nerium International’s™ branding, creative services, communications, public relations, events, digital marketing, and social media. As a member of the core executive team, Amber helped set and execute the strategy that led Nerium to be the youngest company ever to earn a place on the Direct Selling News Global 100 List in 2013, as well as receiving the prestigious Bravo Growth Award from Direct Selling News for hitting $100 million in sales during its first full year of business. In 2014, Amber was recognized as a 40 Under 40 by Direct Marketing News, and has also been profiled alongside Nerium International’s other top executives in both Direct Selling News and SUCCESS from Home magazines. Amber also plays a key role in Nerium International’s culture and helps drive the company vision of “Making People Better.” She assisted in developing Nerium’s core values and leads a corporate culture committee which ensures that the core values are represented throughout the company. She launched a partnership between Nerium International™ and Big Brothers Big Sisters of America, spearheading a fundraising effort that yielded over $500,000 in one year. She has also established a partnership with the Success Foundation to host teen workshops across the country. These workshops teach kids the skills needed to achieve their dreams. To date, thousands of teens have attended these free workshops. Amber is enthusiastic about helping people achieve their dreams—especially women. A frequent keynote speaker at Nerium events, which draw audiences of 10,000 people or more, Amber encourages women to put their “calling before their comfort.” She has hosted women’s workshops and teen workshops across the country and is on the Advisory Board for Live Happy Magazine and the National Acts of Happiness campaign. Ann Kaplan is the CEO and President of iFinance Canada, the parent company to iFinance Home Improvement, Medicard, Petcard, Dentalcard, and Earlybird Pay Day Loans–a national consumer finance Company. She is also the founder of Brix Exchange, Canada’s first Real Estate Crowd Funding Portal, regulated under the Securities Acts. An award winning business woman, Ms Kaplan is the recipient of the Canadian Woman Entrepreneur of the Year Award 200 and is currently the winner of the central region for the Award of Excellence, CWEYA award and a finalist for the CWEYA Canada (November 2015); the Peak Award of Excellence in Finance, as well as nine times on the Canada’s Profit 100 list for growth and 9X placement on the Canadian W100 list; she was also recognized as one of Canada’s most inspirational women in 2007 and more recently as one of Canada’s top three Female Business Leaders. Ann has also been named in the WXN Canada’s Most Powerful Women Hall of Fame 3X and was inducted into the WXN Hall of Fame in 2014 and Recognized with highest honor as Rotman School of Business Top Women in Management/Entrepreneurship, 2015. Internationally, Ann is the recipient of numerous entrepreneurship awards, most recently for Woman of the Year in The 2015 International Business Awards. Ms. Kaplan has an MBA, MSc, and a Corporate Governance Designation (ICD.d); and she is currently completing her Doctoral Thesis in finance at Henley Business School, University of Reading. 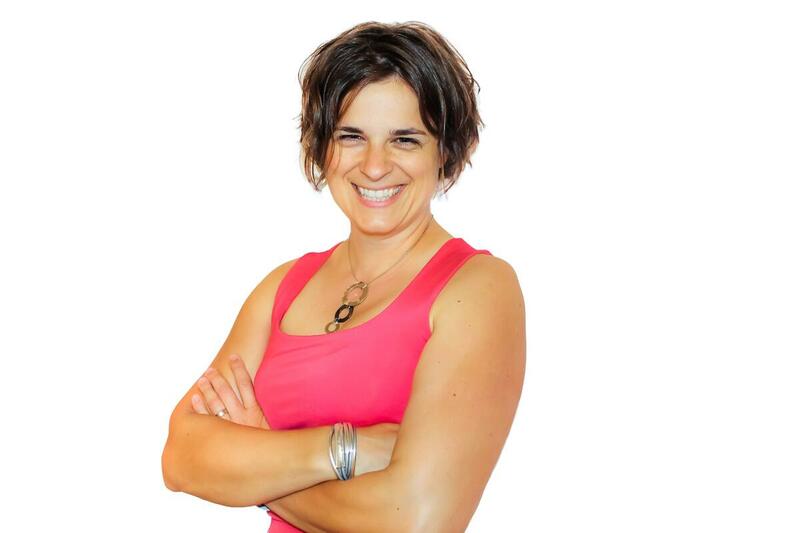 Ann sits on three academic boards and committees; she is an eleven delegate with the Ontario Economic Summit; and in 2014 she was a co-chair in finance at the G-20Y summit in Geneva. Ann has hosted three televisions shows, written four books (If You Don’t Laugh, You’ll Cry”, “Best Practices”, “The InterNet,” and “Fashion Cares”), and is often profiled or quoted in the media. She is the mother of eight and resides in Toronto, Canada. 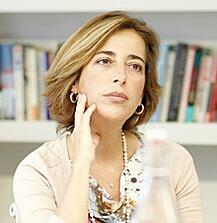 María Cura joined LLORENTE & CUENCA in April 2010 as Managing Director of the Barcelona office, and has been a Partner in the company since 2012. She has more than 20 years of experience in communications consulting, and has a broad knowledge of managing corporate and marketing communications for leading companies in sectors such as technology, tourism, finance, and pharmaceuticals. Before joining LL&C, María worked for USP Hospitals as Corporate Director of Marketing and Communications, going on to be made a partner and member of the Executive Committee, and where she set up the CSR Department and the Alex Foundation. Prior to that, she spent five years at communications consultancy Gené & Asociados in Barcelona, representing institutional clients such as the Regional Government of Catalonia, the Government of Andorra, and F.C. Barcelona, amongst others. María has a law degree from the University of Barcelona. Katrinka McCallum is the vice president of Products & Technologies Operations at Red Hat, a Fortune 500 company with close to $1.8 billion in revenue. Her team provides the operational backbone for Red Hat's product and technology operations, enhancing the development, commercialization, and lifecycle management of the company’s offerings. In addition to ensuring the business units are able to make data driven decisions, she is responsible for engineering operations that ensure development teams have the infrastructure & tools needed to deliver products. She is also responsible for the site management of Red Hat’s R&D facilities in Australia, China, Czech Republic, India, and Israel. Katrinka describes her career path like a mosaic: up close it may not be clear, yet stepping back it’s a beautiful piece of art. Katrinka has led operations for publicly-traded companies where she has had a variety of responsibilities, including sales, marketing, technical support, product development, IT, HR, finance, operations, and the running of entire business units. She leverages her Wellesley and Duke education, as well as her CPA, as foundational elements for a solid footing in how to ask the types of questions that lead teams in the right direction. 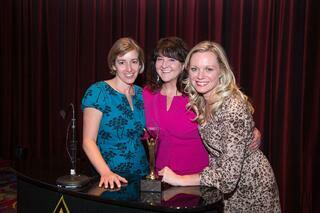 The 12th annual Stevie Awards for Women in Business is now accepting entries. All female entrepreneurs, executives, employees, and the organizations they run, worldwide, are eligible to be nominated. A new feature for this year's competition is an Entry Kit Brochure. The PDF brochure details all the information you need to submit nominations. The program will be especially useful to those who are new to submitting entries to the Stevie Awards for Women in Business. In just a few short minutes of browsing the Entry Kit Brochure, you will find out which categories best suit your organization and how to submit entries. The Entry Kit Brochure is not a replacement for the Webpage Version of the entry kit. The Brochure Entry Kit instructs you how to submit entries through the Webpage entry kit. 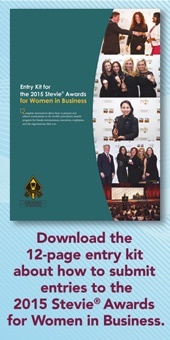 Visit the website at www.StevieAwards.com/Women and click on the ‘ENTER’ button on the top navigation bar. Follow the instructions to complete the registration form for your organization, which will create your entry-submission account. Within your entry-submission account, choose the first category you want to enter, and complete the entry form for that category. Repeat the process as necessary for additional entries. When you’ve created all of your entries, select all of them and click ‘SUBMIT SELECTED NOMINATIONS’ to begin the submission process. Review and agree to the Terms and Conditions of Entry, and choose to pay your entry fees by credit card, bank check, or wire transfer. There's also a webpage version of the entry kit available to you. The early-bird entry deadline, offering reduced entry fees, is July 22. The final entry deadline is August 26, and late entries will be accepted through September 23 with payment of a late fee. Winners of the 12th annual competition will be announced at a gala awards dinner at the Marriott Marquis Hotel in New York on November 13, 2015. Attendance is not required to win. 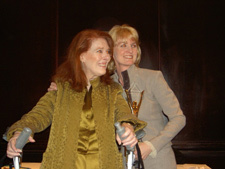 This year the Stevie Awards for Women in Business will honor women in more than 85 categories including, among others, Entrepreneur of the Year, Executive of the Year, Maverick of the Year, Mentor or Coach of the Year, Lifetime Achievement Award, Employee of the Year and Most Innovative Company of the Year. Nearly 10 years ago, Mariah Fenton Gladis, a professional psychotherapist in the state of Pennsylvania in the U.S.A., won the Stevie Award for Lifetime Achievement in the 2006 Stevie Awards for Women in Business. Here we take a look at her life and what she is continuing to achieve. 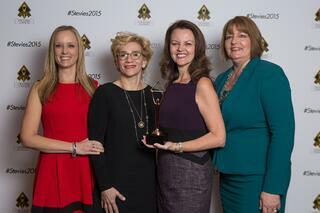 The 2015 (12th Annual) Stevie Awards for Women in Business will open for entries on May 11. Request an Entry Kit here and it will be emailed to you when entries open..
Mariah is herself truly remarkable. She is a 34-year survivor of Lou Gehrig’s Disease (ALS), and has recently given an inspirational TIM Talk (Together In Mission). This TED-like talk series, sponsored by the Lutheran Metropolitan Washington, D.C. Synod, is an event with multiple speakers about the best ideas they have for the future. Mariah chose the topic “Creating Moments That Matter,” talking about the power that moments large or small, spontaneous or planned, can have in your life. Moments that can transform, connect, elevate, and sometimes heal. Mariah believes that as moment makers and receivers, we all have the opportunity to make positive changes in the lives of others and ourselves. During her talk, Mariah is also self-revealing of some moments that have changed her life. Here is a link to her talk. In 1981, when Mariah was diagnosed with Amyotrophic Lateral Sclerosis (ALS), three prominent national neurologists gave her a 10% chance of surviving two years. Yet, three months after the diagnosis, she married Ron Gladis and went on to have two children: Luke, a graduate of James Madison University; and Cole, a graduate of Ithaca College. Today, Mariah continues to be a loving wife, a doting mother, and a licensed professional psychotherapist in the state of Pennsylvania. Her courage to continually go forward with grace and determination demonstrates the very nature of her character and the amazing survival capacity of the human spirit. None of this, however, diminishes her powerful presence and expert ability to do her work. In fact, Mariah acknowledges that it is her personal healing journey that has expanded and deepened her capacity to heal others. Since it was formed in 2006, the Mariah Fenton Gladis Foundation has funded special workshops: “An Afternoon of Forgiveness” is for anyone who needs to let go (check here for the next workshop); “Embracing Yourself into Wellness,” for cancer patients, offers the opportunity to create the necessary moments needed to move forward in wholeness and health; “Befriending Death/Transforming Life” explores the practical and psycho-spiritual preparations for death; and “Bless the Broken Road” presents an opportunity to experience physical or emotional heartbreak more as a gift, a resource to mine wisdom and compassion, than as an impediment to living a full life. The Foundation has also supported needy students in life-skills training; provided private counseling for the underserved and financially destitute; given inspirational lectures on the value of hope and personal sustainability; and there is more to come. The Foundation wants to create more special workshops on self care, attract more of the served and underserved, give back more to the community—all with the concept of reaching inward and outward to provide more love, compassion, and forgiveness in the world. Mariah’s son, Coleman, is making a documentary of her life. You can see a 3-minute trailer for the film “Mariah” at http://www.mariahmovie.com. Biz TV will broadcast a special television program about the 11th annual Stevie Awards for Women in Business on Friday, January 30 at 10:00 ET, with a repeat broadcast on Sunday, February 1 at 6:00 pm ET. The Stevie Awards for Women in Business are the world's top honors for female entrepreneurs, executives, employees, and the organizations they run. The 11th annual awards were presented during a dinner in New York on November 14, 2014. More than 400 nominees and their guests from around the world attended. Read Biz TV's blog post about the broadcast here. Biz TV is associated with Biz Talk Radio, which broadcast the November proceedings live across the U.S.A.
We saw a preview of the program the other days and it's outstanding! The program features all of the on-stage Grand and Gold Stevie Award presentations, selected interviews with Stevie Award winners, and some original videos produced by 2014 Stevie winners. Biz TV promises to broadcast the program several more times in the first quarter of this year after the first two airings. We'll publicize those dates when we have them. Learn more about the women in business awards at www.StevieAwards.com/Women. The 2015 competition will open for entries in May.